It’s happened again. Despite trying to make sure I used up all my purchased seeds a few packets have somehow escaped my notice and have now passed their use-by date. I could simply throw them away and buy new ones, but I don’t like spending money if I can help it! However, if I sow them and they don’t germinate I will be wasting potting mix and my time. So instead, it’s time for a simple germination test. Testing seed viability is worthwhile when, like me, you want to take a punt on old seeds that are past their use-by date, or if you accidentally tore off the use-by date on the seed packet and have no idea how long that seed packet has been kicking around your seed box (yep – done that too!). There’s no need to test seeds that are within their use-by date, unless they’ve been incorrectly stored. Seeds stored at too high a temperature or in humid conditions may turn out to be duds, but a germination test will let you know for sure. Self-saved seeds can also benefit from a viability test if they’re approaching the end of their typical shelf life, or if it’s your first try at saving seeds from a new plant or variety. This way you can be sure that your technique is sound and your storage conditions optimal. Testing seed viability sounds as if it might be a complicated, specialised business, but it’s really not. All you need is paper towels, plastic bags (such as sandwich or freezer bags), a small receptacle and a marker pen. Oh, and some suspect seeds of course! For each plant or variety you want to test, you need one sheet of paper towel and one plastic bag. Use a spray bottle or mister to moisten the paper towel so that it’s evenly moist, but not spongy wet. Count out at least ten seeds to use as your test specimens – ten is a good number, at least if your maths is as iffy as mine, because it’s easy to work out a percentage from. 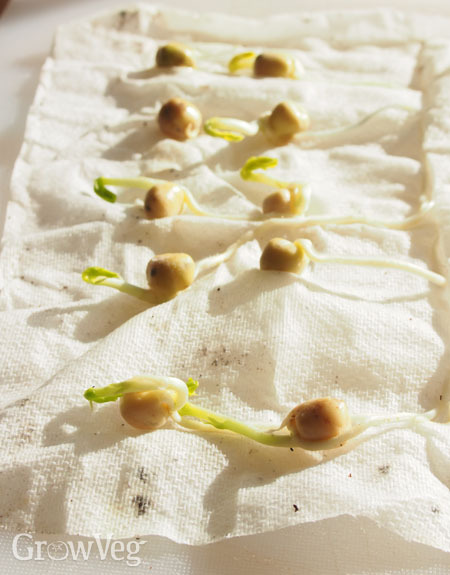 Having said that, I find that with very small seeds like lettuce or onion it’s better to sprinkle a pinch of seeds on the surface of the paper towel then do the counting once they’ve sprouted. Space the seeds evenly across the top half of the paper towel, then fold the paper towel in half so that there’s moist towel on both sides of the seeds. Roll the paper towel into a tube. 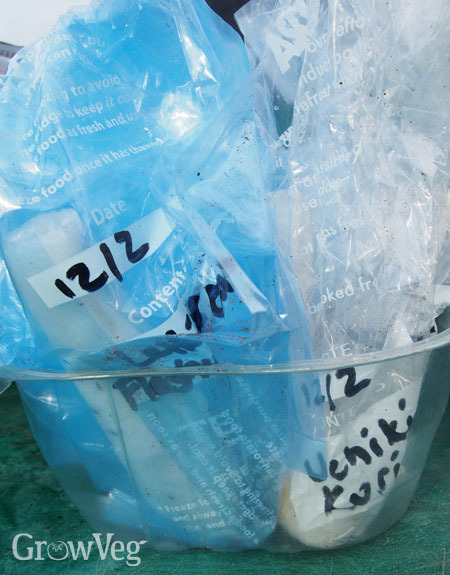 Label your plastic bag with the date and the name of the plant, including the variety. The bag doesn’t need to be sealed – leaving it open a little will allow some air in, but the paper towels won’t dry out too fast. Pop your seed-impregnated paper towel inside and stand the bag on end in a container. Try to keep the test seeds in conditions that closely match the ideal germination requirements for the seeds. For most this will mean keeping them warm and moist. You may need to re-wet the towels from time to time using your spray bottle or mister. A few seeds, such as celery, need light to germinate. In this case, a viability test is even easier: simply place the seeds on top of a sheet of damp paper towel on a plate and leave uncovered. Check the germination window for your seeds. For peas and beans this is usually about seven to ten days, while for radishes it’s just six to eight days. Others may take longer. Begin checking for germination at the start of the germination window and check daily until the last date they’re expected to germinate. Count your sprouted seeds. If seven out of the ten have sprouted, hurray! You have a very respectable 70% germination rate. It’s not necessary to have 100% success with a germination test. Obviously the higher the better, but anything above a 50% success rate for seeds is acceptable – just sow two seeds per station for the best chance of at least one germinating. It would be prudent to replace seeds if germination rates are lower than 50%. For most crops, if there’s no sign of sprouting after a couple of weeks you may as well buy fresh replacements. Don’t waste your sprouted seeds – eat them! It always seems a waste to throw away perfectly good seeds that have burst into life, so if the time is right for sowing that crop by all means plant them! You’ll earn a slight head start and there’s no need to sow extra to make up for potential germination failures. Another option is to eat them. Sprouting seeds and microgreens are a delicacy, especially during the dark days of winter. 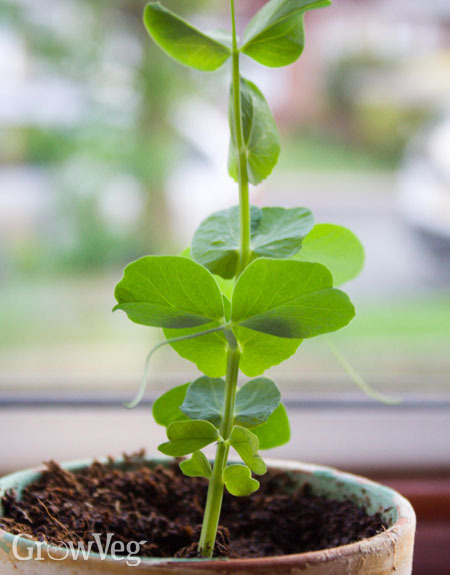 Most leafy vegetables and herbs can be eaten as sprouts and as microgreens. It’s fair to say that a measly ten seeds will not produce enough to satisfy an early spring craving for fresh homegrown vegetables, but it is a useful way to find out how the young plants taste. That way you know which ones are worth sprouting for eating when you have a surplus of seeds!